ALLEGRA BOVERMAN/Staff photo. Gloucester Daily Times. 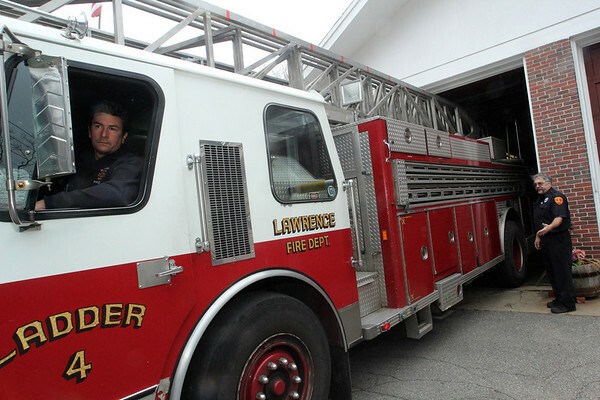 Gloucester: Gloucester Firefighters Bob Rivas (inside engine) and Jim Capillo with Lawrence Ladder 4, a ladder truck being lent to them by the Lawrence Fire Department, at the West Gloucester Fire Station.